For a reincarnation genre novel, this one could be considered refreshing. Not the protagonist or antagonist, heck they don't even know she's the saint. It's rather fun and addicting. Better read it if you like to take a break from all the stereotype MC. Just what you'd expect from a transported to another world story but the pacing feels much faster so more things happen so if you're craving transmigration story, I'd recommend this. Character's are a bit simple but have their own quirks as we get to know them more and more, translation from cloudytl is quite smooth and pleasant to read as well. I quite like how this story had all the hallmarks of a harem, but hasn't chosen to go that route. A nice easygoing story to read on a chill day. A very refreshing and easy read. There's no overt antagonists or any sort of angst so it flows very smoothly. The characters are nice and developed enough to not be one dimensional. Sei is a nice heroine who's OPness doesn't grate and is genuinely just trying to live a relatively simple life but has a good heart and a go-with-the-flow attitude that sometimes ruins her own plans lol. The romance is very cute and the fluff livens up the story. 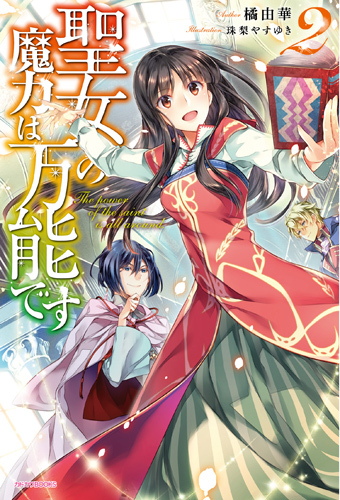 A refreshing one to read, story is pretty good, characters also pretty good except the MC. The MC is totally my ideal how a girl should be! If I have to say, so far the story indeed a bit slow and focused entirely on MC and her new environment, but I think this will be over soon because the Saint job is about cleaning miasma around the kingdom. This is an interesting novel to read. The MC isn't like any other novel I ever read. I love how the story evolves and enjoy how the MC spends her time in the story. Overall its 5 stars from me. I hop there will be more of this in the near future. Just like what most people say, this novel is truly refreshing. It's simple but compelling, a great change of pace from the usual isekai and shoujo genre. Yes there's a lot of signs throughout the story that makes it seem like a reverse harem, and sure nothing super grave actually happens (so far) but its a really nice read and it shouldn't be overlooked.